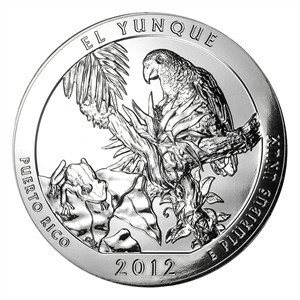 The El Yunque National Forest 5oz silver coin was published in 2012 as the first coin of 2012 by the Pennsylvania Mint and is part of the „America the Beautiful“ silver coin series. 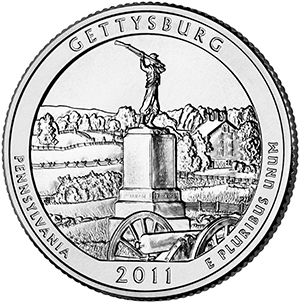 The Gettysburg National Military Park 5oz silver coin was published in 2011 as the first coin of 2011 by the Pennsylvania Mint and is part of the „America the Beautiful“ silver coin series. 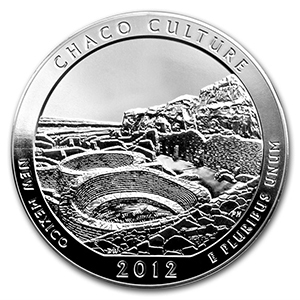 The Chaco Culture National Historical Park 5oz silver coin was published in 2012 as the second coin of 2012 by the Pennsylvania Mint and is part of the „America the Beautiful“ silver coin series. 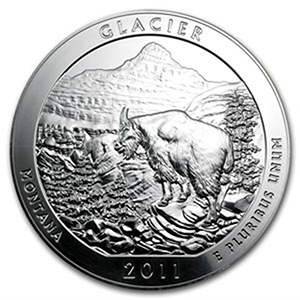 The Glacier National Park 5oz silver coin was published in 2011 as the second coin of 2011 by the Pennsylvania Mint and is part of the „America the Beautiful“ silver coin series. 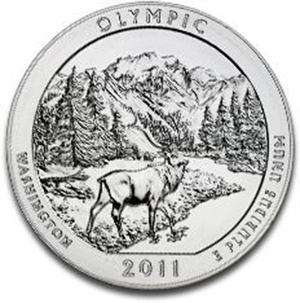 The Olympic National Park 5oz silver coin was published in 2011 as the third coin of 2011 by the Pennsylvania Mint and is part of the „America the Beautiful“ silver coin series.